Is jaggery better than sugar? Throughout the 90’s and 00’s, agave was touted as a low glycemic sugar alternative that wouldn’t give you the highs and lows. No more sugar crashes, instead it would be sustained energy. Some sources even alleged it was better for your teeth. Thankfully, those in the media have done a half-way decent job at debunking these and similar myths throughout the last several years. Today, far fewer hold to those early beliefs about it being the perfect substitute. It does raise your blood sugar by a lot. Agave, as well as all other forms of sugar, do promote cavities and tooth decay. 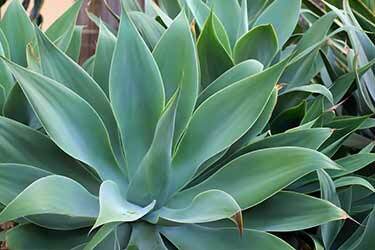 Almost all agave syrups are highly refined and a far cry from what you would actually squeeze out of this succulent. With the word “high” in its name, high fructose corn syrup (HFCS) must contain a lot of sugar, right? Yes it does, as the two most widely used versions contain 42% and 55% fructose (1). Guess what? Both strengths of HFCS actually have less fructose than blue agave, which is a whopping 56%! Dietary sources of carbohydrate-based sweeteners – whether they’re refined or not – contain a mix of both glucose and fructose. They are both bad for you in excess, since their metabolic effect is practically the same (2). However, many scientists consider refined fructose to be slightly worse than glucose, at least when it comes to the epidemic of obesity and type 2 diabetes (3). So given that it contains even more fructose than HFCS, how did agave achieve a reputation for being healthier? It’s like telling someone you paid them $20, while neglecting to mention you stole $10 from their wallet at the same time. They were only telling half the story. Now that it’s widely known how high agave’s refined fructose content is, many experts consider agave worse than high fructose corn syrup, or at least not the ideal sugar replacement many previously believed it to be. Today, the jaggery benefits being claimed are that it’s a low glycemic sugar alternative that’s actually healthy for you. Is there any truth to that or is this a broken record playing? Jaggery is an unprocessed, unrefined, organic sweetener from sugarcane. 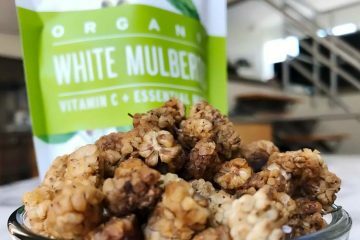 Rich in minerals, soluble fiber, and low glycemic, it is rich in flavor. It is a cross between spicy molasses and buttery caramel. Alkaline in your body when eaten, it is also used as a digestive aide. Gluten free and non GMO. Those claims are not ours. 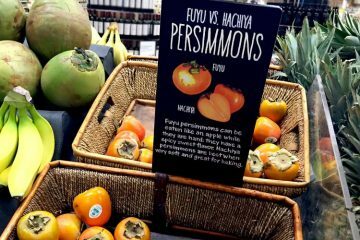 That actual description was posted on a placard at a high-end grocery store here in Los Angeles. It was on the shelf which had jaggery for sale in two forms; crystal rock chunks and as a ground powder. Less common, other names for it are gur and gurh. All are referencing the same thing. Where did the name come from? Jaggery is in Hindi, which is the world’s 4th most-spoken language. In Hindi-speaking India, this non-centrifugal cane sugar is quite popular, including for Ayurvedic use. However here in the United States and other English-speaking Westernized nations, this is a foreign word to us since hardly anyone here uses it. 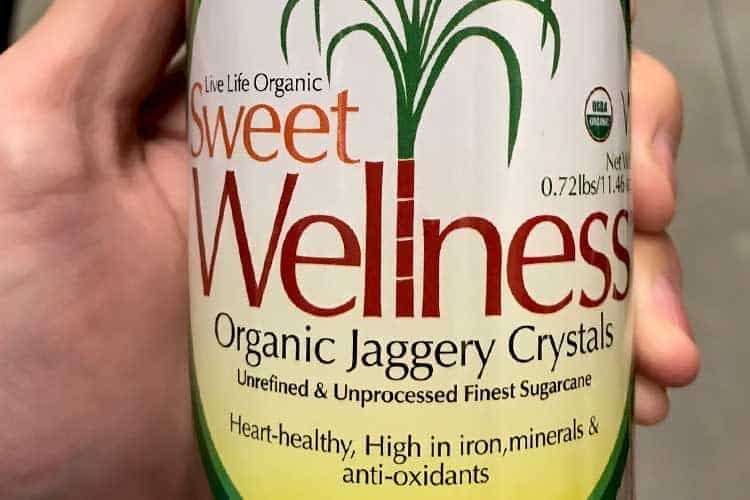 On that actual jar pictured above, the product label claims it to be heart healthy and high in iron, minerals, and antioxidants. 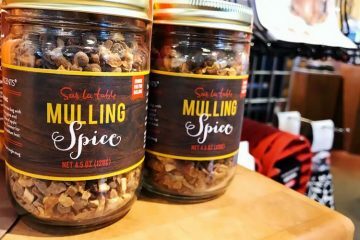 Between hearing that and the grocery store’s description, you’re probably eager to buy it, even if an 11.5 ounce jar costs $9… which is around a dollar per ounce. Before doing so, dig a little deeper into the health benefits. Jaggery versus sugar, honey, demerara, panela, sucanet, and others may not be the profound difference you were expecting to see. The label on the jar pictured says its high in antioxidants, without providing additional details on that. You will come across a couple sources online which claim it has a high ORAC value, but they never reference a specific number. 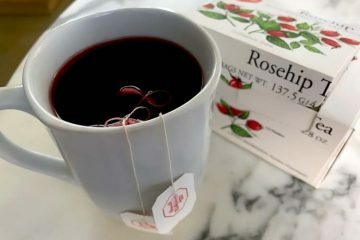 Maybe that’s because to the best of our knowledge, no one has put it through this extensive antioxidant testing regimen. That being said, its total phenol content and concentration of phenolic compounds have been measured using other test methods (4). Based on the above data, it is true that jaggery has about 10x more antioxidants than brown sugar (the real kind), but that’s only high on a relative basis. When you view the antioxidant properties of sugarcane extracts like these, they appear potent relative to sweet fruit like raisins, oranges, and prunes. The ORAC for molasses seems particular impressive, but it’s not fair to compare any of these side by side. For one, any fresh fruit will be lower than dry extract solids. The ORAC values for sugarcane extracts, like molasses, often boast the ORAC value of the dry solids. That’s not a fair comparison to a fruit, which still contains a lot of water. It’s like comparing fresh basil with an ORAC of 4,805 and dried basil which is 61,063. 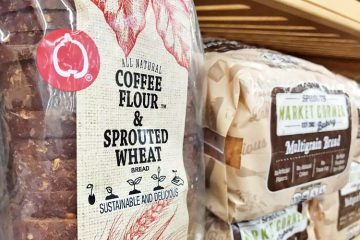 The reason the dried is higher is because the water content has been removed and hence, there is a great concentration of antioxidants per gram. ORAC uses the same serving size (100 grams) for all foods tested. That includes when the comparisons are fresh fruits versus dry sugarcane extracts. 100 grams is about 3.5 ounces. You can eat 3.5 ounces of blueberries, no problem. Try eating 3.5 ounces of a dried molasses and you will have a horrendous sugar crash. People only eat a spoon or two at a time, not 3.5 ounces of it! A cup cake won’t even contain that much sweetener. In short, both brown sugar and jaggery are not good sources of antioxidants, because their serving size is so small. Eating them in abundance to get a decent amount of antioxidants would be a terrible idea, due to the glycemic impact that would have. How many calories in jaggery? How much iron, since it is said to be a high source of it? Here’s a look at the actual data. On the plus, with 30% of your daily value, you definitely could say it’s a good source of the essential mineral magnesium. As far as the other minerals, like iron, phosphorus, and potassium, how much it contains is hardly impressive. In addition those, the label does mention there are trace amounts of zinc and selenium present. Vitamins? You see none on the nutrition facts label. In the text underneath, it does say there are trace amounts of thiamine (vitamin B1), riboflavin (vitamin B2) & niacin (vitamin B3). 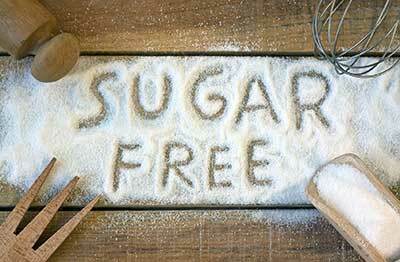 Regular table sugar has virtually no mineral or vitamin content. Jaggery has some, but with exception of magnesium, the amounts provided are probably too low to be very beneficial for your health or fulfilling your RDI. Finding out how many carbs a food contains is easy – it’s a simple lab test. Finding out the glycemic index of a food is not simple. It requires actual human participants to eat a controlled amount and then have their blood sugar levels monitored for hours (typically at least 2 hours). The leader in this field is the University of Sydney and they maintain the most extensive database of GI values in the world. But even in their database, you will find many common foods missing. This is understandable given the costs involved, the hassles of testing (recruiting volunteers), and the lack of financial incentive to test (who does it benefit). For example, with agave nectar or syrup, only 3 tests are published (3 different brands who paid for it). For plain cooked quinoa, if you can believe it only one test exists in their database (the GI was 53 for a 150g serving, if you’re curious). When it comes to jaggery, we have to go all the way back to 1987 to find testing for its glycemic load and index. 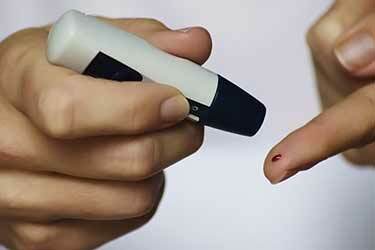 Published on the website of the Diabetes Research Society of India, the following numbers are reported (5). The biggest difference is during the first hour after ingestion. After 2 hours of them, all sugars are fairly comparable with a GI or around 50. 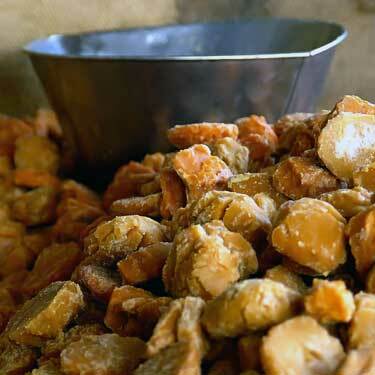 In light of this information, is jaggery good for health and diabetics? That depends on what you definition of “better” is. Being that refined cane and beet sugar is about as processed as it can get, of course anything less process is going to be better on a relative basis. However that’s kind of like saying it’s better to get your thumb cut off than your entire hand… neither scenario is healthy, right? Based on the evidence, eating jaggery causes diabetes and weight gain in a similar manner as regular sugar. It’s true there are some health benefits of jaggery versus sugar. Though after weighing the pros and cons, the adverse glycemic side effects would probably outweigh any advantages of trace minerals and antioxidants. Yes, jaggery is healthier than sugar, but still bad for diabetics and those desiring a low GI substitute. There’s nothing wrong with eating it in small amounts, but you would be fooling yourself to say it’s good for your overall health. Any glycemic benefits versus pure glucose are negligible. It’s far from being low GI based on the above test results. Given its unique and complex taste which is similar to brown sugar, you may want to use it as a treat in baking and other recipes. When doing so though, don’t use more because you think it’s significantly better than sugar… it’s not. Here in Los Angeles, we have only seen it for sale at a niche health foods store. We have yet to see it at our local Whole Foods. Your best best will be to buy the powder on Amazon, as well as the raw whole crystals. If you want the best sugar replacement, consider date sugar. Technically, it’s just dried dates which are ground up into a powder. 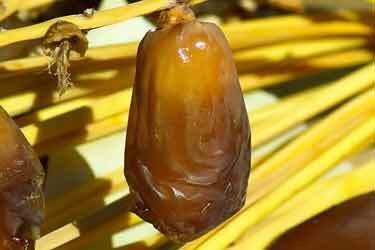 The benefit is that dates have a higher concentration of antioxidants and probably a lower GI value (6). No one has actually tested the powder’s glycemic index, but a study by United Arab Emirates University tested 5 common varieties of whole dates using 50 gram samples (7). The GI values ranged from 46 to 55 (for the healthy participants) and 43 to 53 (for the type 2 diabetics). When a food has a glycemic index of 55 or less it is considered low. To be clear, it is likely the dried version will be higher, since the water content has been removed, so more sugars are present. Plus, the grinding means they will likely hit your bloodstream faster. Even with those things considered, the research still suggests it is the best lower glycemic replacement for sugar. Even if its a medium or high GI, it’s still probably better than most of the alternatives on the market, based on the clue of how low dates test out. We recommend this brand of date sugar. 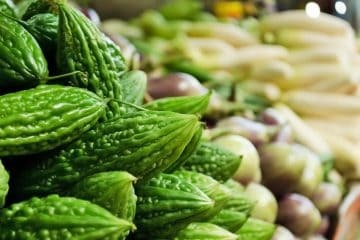 If you want no glycemic impact, then check out or reviews of monk fruit. I know it’s a bit late to comment, but you may want to draw a distinction between sugar cane Jaggery and palm (particularly Palmyra Palm) Jaggery. Both minimally processed, one is the marginally better than ‘white sugar’ form you reviewed, while the other is in a far different category in terms of nutritional value and fructose content. Palmyra Jaggery is a rare, vegan source of B12, is high in Niacin (B3) and very high in B6 as well. There’s very little free fructose and some phytochemical compounds that also help control inflammation and blood sugar spikes. It’s expensive, but fairly traded, sustainable and Artisinally produced by tappers climbing 80′ trees twice daily… As they’ve done for 3000+ years. Gandhi was a fan too. If you’d like some – find Palmyra Jaggery or Palmyra Nectar Powder.